Looking for a clever piece of art for a nursery or your child's room? How about a book that's actually a clock? 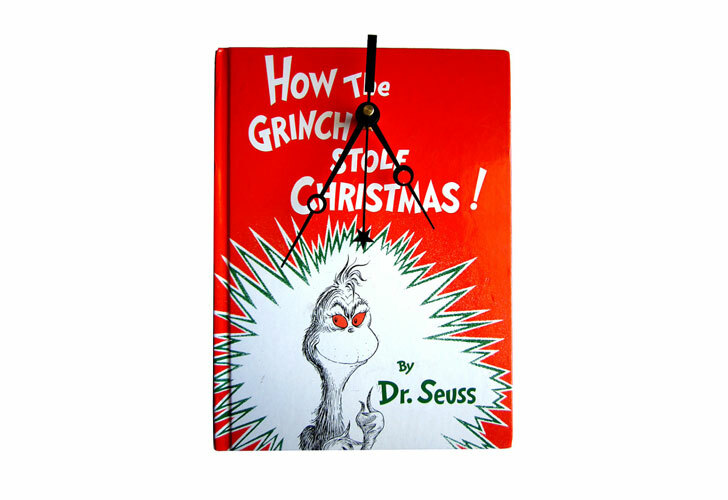 Vintage Book Clocks let you show off your love for literary classics like The Wizard of Oz and Horton Hears a Who! and keep track of time all at the same time - you just may inspire your child to develop a greater love for reading, too. Los Angeles designer Steven Gabriel turns old titles, many of which are one-of-a-kind books, into simple working clocks that can be hung on the wall. Gabriel adds clock hands that are battery powered. He often chooses them based on the cover art and colors. Though, in the case of Dr. Seuss classics, several have been made of the same title. Vintage Clock Books was launched in 2010 and the handmade treasures are currently sold through Etsy for anywhere between $35 and $165 depending on the rarity of the book used. Appalling. He does this to one-of-a-kind books? Why not just burn down a library? Even if it weren't destroying a book, it's still a bad design for kids since the clock has no numbers. It's tough enough to teach kids to read a clock without giving them the abstraction of lack of numbers. How about just reading that book to your kid instead? Los Angeles designer Steven Gabriel turns old titles, many of which are one-of-a-kind books, into simple working clocks that can be hung on the wall. Gabriel adds clock hands that are battery powered. He often chooses them based on the cover art and colors. 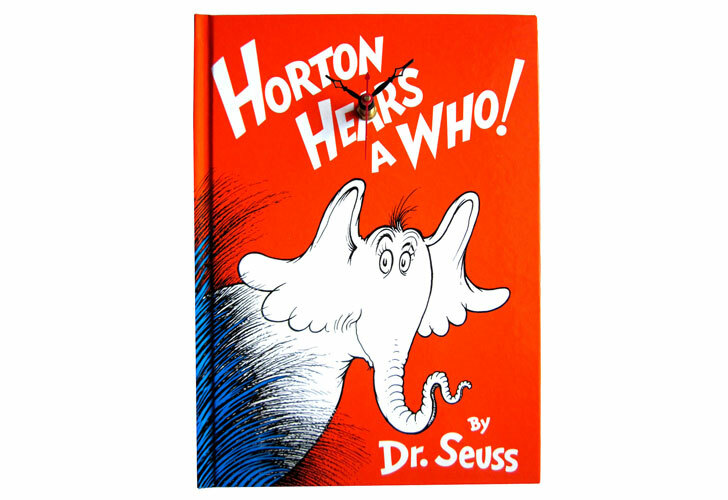 Though, in the case of Dr. Seuss classics, several have been made of the same title. Vintage Clock Books was launched in 2010 and the handmade treasures are currently sold through Etsy for anywhere between $35 and $165 depending on the rarity of the book used.